Looking for Friendly Dentists in Bowmanville? As your family grows, it is important to have friendly, knowledgeable general and pediatric dentists to oversee your children's dental health. At Clarington Family Dentistry, our general and cosmetic dentists in Bowmanville care about the community. We're down-to-earth, considerate, and thorough. 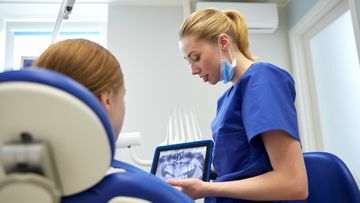 We cater to patients with dental anxiety, and try our best to give them a peaceful office, as well as breaks during appointments, and sedation options. Nitrous oxide has helped minimize gagging and nervousness for our pediatric patients. In our general dentistry practice, we focus on preventative care. 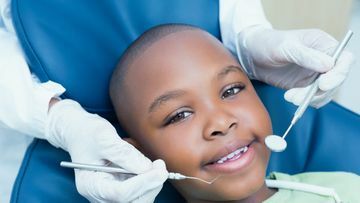 We focus on fluoride applications, cleaning, nutrition guidelines, and brushing, as well as orthodontic recommendations. Our office provides service for dental emergencies, whether toothaches are making you unable to function or you fracture a tooth in an accident. At Clarington Family Dentistry, we also offer cosmetic dentistry services such as crowns, veneers, white fillings, bonding, and teeth whitening. Our team combines gentle treatment with patient education in our pediatric dentistry practice. We inform parents how they can best maintain their children's dental health at home. Clarington Family Dentistry has been treating children, teens, and adults in Bowmanville, Courtice, Oshawa, Newcastle, Orono and the surrounding Durham area for over 15 years. We're open evenings and Saturdays to accommodate busy families.